It has been a week since the Little India riots in Singapore. While we know that the riots were caused by a small group of drunk trouble-makers, the picture painted by some foreign news organisations had painted an inaccurate picture of the riots being racial in nature. This misperception created by these foreign media is perhaps the reason why I have received a few emails from overseas readers whether it is safe to travel in Singapore (the answer is of course “Yes”). 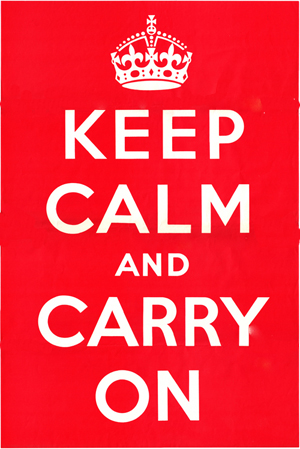 The “Keep Calm and Carry On” poster above couldn’t be more apt in describing the situation in Singapore one week after the Little India riots. The riot in Little India is a serious but isolated incident. The authorities have restored calm and order to the area, and are continuing with their investigations. We should support our frontline officers from the Home Team in carrying out their investigations. Singaporeans should stay calm, demonstrate resilience, and continue their daily lives normally. In fact, from the interviews in the video below, it seems that most residents in the area are doing ok – expressing common sentiments on calming down and letting the police do what they need to do to investigate this incident. Foreign workers in Singapore are, by and large, law-abiding individuals who are here to earn a living and support their families in their home countries. We should not tar all foreign workers with the same brush. As can be seen in the video below, there are a number of instances during the riot when foreign workers are trying to help manage the situation e.g. getting frontline Home Team officers out of danger (when the ambulance that they were in, was in danger of burning up) and helping a coffeeshop owner to keep his tables and chairs. Most foreign workers were just as concerned about how this incident will affect the chances of them being able to continue working in Singapore (as seen in the interviews with foreign workers in the video below). It is thus heartening to hear from Mr Lim Swee Say, Secretary-General of NTUC that Singapore must continue to improve the working and living conditions of workers, whether they are local or foreign. He also added that the labour movement had reached out to workers immediately after the incident to reinforce the view that the actions of a small group do not reflect the views of the majority of foreign workers. As a community, it is important that we avoid spreading rumours or misinformation about the incident, and keep xenophobia and racial remarks out of the conversation. Check the facts first before sharing any online information. The Factually government site is a good place to start checking the facts (on not just the Little India riots but other issues too!). All of us have a role to play in maintaining peace and harmony in Singapore.